We have seen our fair share of smartphones with cameras with more megapixels and lenses over the past few years. 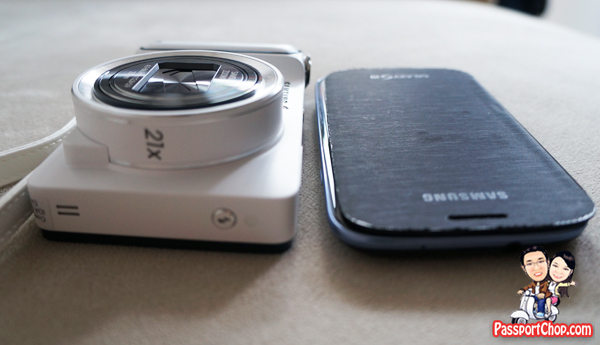 In an interesting twist, Samsung GALAXY Camera does exactly the opposite – a camera with smartphone-like capabilities. It is not exactly a smartphone as you cannot use it to make any calls in the traditional manner even with a SIM card inserted (yes you can insert a SIM card into the Samsung GALAXY Camera and make use of its 3G functionality) but it is not actually a big problem – especially with the myriad of Android apps that allow you to make calls (3G data access required) e.g. Skype, WeChat, Viber. What makes the Samsung GALAXY Camera really attractive is the Huge 4.8-inch HD SUPER CLEAR LCD Touch Display that dominates the back side of the camera. There are no buttons or any other form of physical controls on this side – just one huge screen from which you can control the settings of the camera. The large screen also makes it fairly easy to edit video on the camera while on the go with the pre-installed Video Editor app or any other video editing app that you can download from Google Play (connect to Wi-Fi or 3G and just download and install right onto the camera). The Samsung GALAXY Camera (available in white or black), is shaped like a typical pocket camera – however it might be difficult to fit it in a jean’s pocket – it is longer and wider than a typical smartphone (see picture below for a comparison with a Samsung S III LTE). It is also quite thick and heavy – not surprising considering that it is packed with a powerful 21 x physical zoom, yes it is an optical zoom- the real deal which allows users to focus on distant objects almost as well as it can in close-up to deliver crisp, clear images from afar. Most other smartphones or cameras in the pro-amateur category could only boast of similar zoom length for digital zoom only – meaning that it will give the impression of magnifying the image by effectively spreading the pixels, but image quality goes down sharply as a result. Samsung GALAXY Camera runs on AndroidTM 4.1.1 (Jelly Bean) platform which is quite an updated OS that allows for smoother multitasking and runs just like any of the latest Samsung Android smartphones e.g. Samsung GALAXY S III LTE and GALAXY Note II LTE. You can scroll through pages of apps, customize your pages with widgets, download apps and everything else. You can also check your email, surf the Web and play Angry Birds, all on a camera. In terms of ease of use for the camera functionality, the Samsung GALAXY Camera gives you options for (1) total auto-focus (just point and shoot), (2) assisted settings such as landscape or portrait (just adjust to the right shooting environment and shoot), or (3) total manual focus (for the pros who know the difference between shutter speed, aperture and brightness). The assisted settings offers a great selection of presets – the standard ones you find in most cameras e.g. Landscape, Panorama, Sunset, Night, Fireworks, Macro plus a bunch of others which makes photography even easier for the amateurs e.g. Waterfall for waterfall shots (perhaps a preset with slower shutter speed to capture the water flow). Other interesting presets (pretty intuitive-sounding names) include Best Photo, Best Face, Snow, Action Freeze, Rich Tone, Silhouette, Night Trace and Beauty Face. For the pros – the technical specs of the Samsung GALAXY Camera are 16 megapixels and a back-illuminated CMOS sensor capable of delivering 4,608 x 3,456-pixel images. The aperture stretches from f/2.8 at its maximum to f/5.9 when the zoom’s at full. The shutter speed stretches from 16-1/2,000 of a second. What truly differentiates the Samsung GALAXY Camera from other cameras is its sharing capabilities and ability to integrate with social networks via its Android operating system. Usually, from the time we take a picture until it appears on our social networks, it takes at least 3 steps – we will take a picture with our camera and then have to transfer the pictures onto our laptop via cable or microSD card and then do some photo touch-up (if necessary) and then share them on social networks e.g. Twitter, Instagram, Facebook. With Samsung GALAXY Camera, these steps are shortened considerably – take a picture, edit it directly on the camera’s huge HD touch screen (if necessary) and then send to Instagram, Twitter! For friends bugging us for the pictures, we can make use of Samsung GALAXY Camera’s in-built Share Shot, Buddy Photo Share capabilities to send the photos almost immediately. Even if you don’t have a Wi-Fi network to tap to or 3G data SIM card inserted, you can turn on the Wi-Fi Direct (Go to Settings -> Turn on Wi-Fi -> Click on Wi-Fi -> Click on Wi-Fi Direct on bottom right corner of screen) function in the Samsung GALAXY Camera to send the picture directly to your friend with a Samsung S III or Note II (they should turn on their Wi-Fi Direct and of course accept your request to connect both phones)! Unfortunately, Whatsapp is not compatible with the Samsung GALAXY Camera but you can use the pre-installed ChatON Photo Share function (available in most Samsung smartphones) to share photos from the Camera to your friend’s Samsung phone directly using 3G or Wi-Fi. 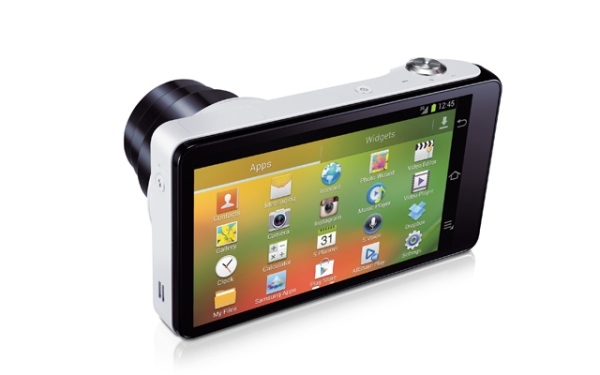 Check out the video below for our demo of Samsung GALAXY Camera’s key features i.e. At a price of S$698, the Samsung GALAXY Camera does not come cheap but you are paying for a truckload of functionality all packed into the Camera i.e. the connectivity (3G/Wi-Fi), ease of sharing to social networks and direct to other Samsung smartphones and versatility – manual focus available and 21x Optical Zoom. In my opinion, the Samsung GALAXY Camera is perfect for people who had to take pictures and send them on the go quickly and provide instant updates on events e.g. bloggers, journalists. 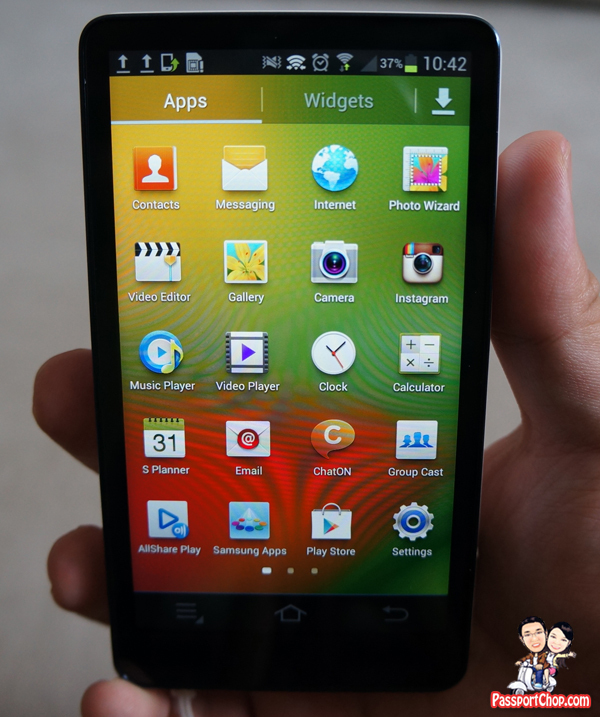 It is also for those who are social media addicts – taking pictures and sharing them on the go and checking on social media updates is a must – but who doesn’t want to carry a camera and a phone around and does not want to compromise on picture quality – then the Samsung GALAXY Camera is a must-have! 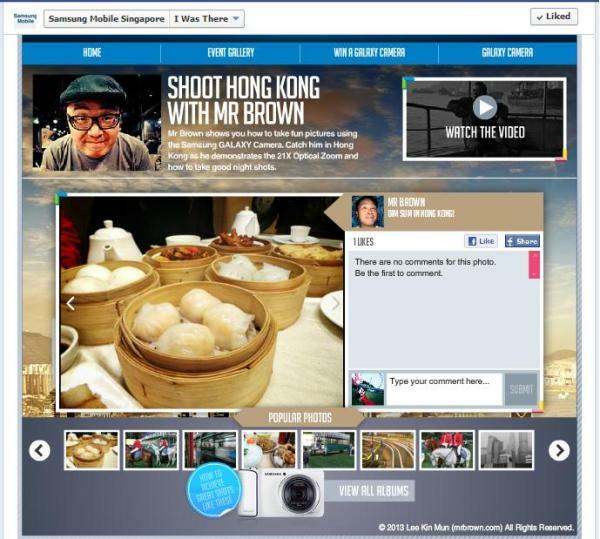 For a quick look at how you can better use your Samsung GALAXY Camera, you can follow Samsung’s “I Was There” campaign which showcases how famous personalities make use of the Samsung GALAXY Camera along different themes that resonate with Singaporeans – Eat, Shop, Travel, Music. Check out the www.iwasthere.sg for great pictures and videos taken along those themes using just the Samsung GALAXY Camera. My personal favourite is Mr Brown’s adventure at Hong Kong with the Samsung GALAXY Camera – how he captures the essence of Hong Kong in terms of food, people and other attractions around the country. The night shots of the Hong Kong central business district backdrop demonstrated how the Samsung GALAXY Camera could be used during low lighting situations. Lots to learn – especially for people like us who take lots of photos while travelling! 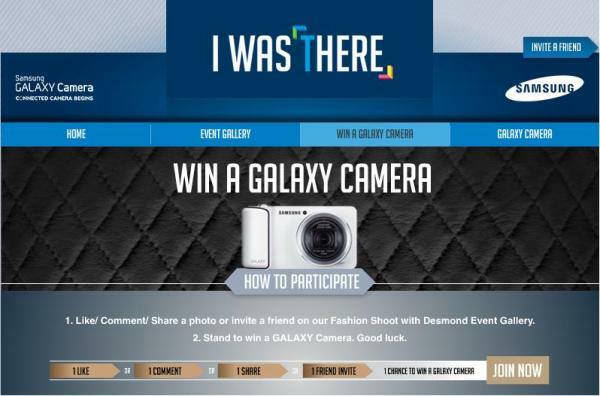 Another interesting event gallery in the Samsung’s “I Was There” campaign was the Fashion Shoot with Desmond Tan where 3 Samsung Reporters directed a fashion shoot for Desmond. At this gallery, you get a behind the scene look at how a fashion shoot is conducted and see how the 3 Samsung Reporters make use of creative angles to do this fashion shoot with Desmond. There is something for everyone in this www.iwasthere.sg – even for non-Samsung GALAXY Camera users! 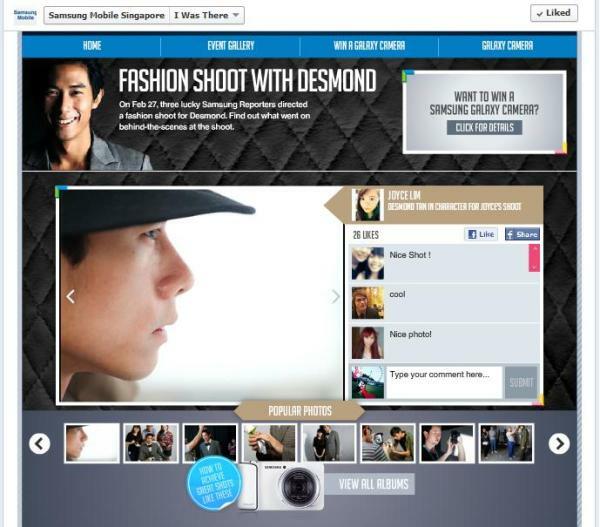 Simply Like/Comment/Share a photo or invite a friend to join in the Fashion Shoot with Desmond Event Gallery and you stand to win for yourself a Samsung GALAXY Camera! You get to see great pictures and learn some basic photography tips and at the same time stand a chance to win the camera! 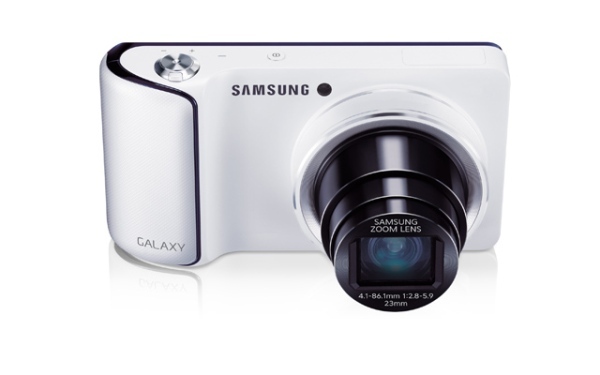 There are 2 Samsung GALAXY Cameras up for grabs! onе. A muѕt read post! Nice information about Samsung Cameras.